Cael Vanderhorst punched his ticket to state with an impressive pin of Brian Chmielewski of Coldwater. Gavin McReynolds closed out his junior season as a district qualifier. Sophomore Austin Flick had a great run in the post season at 138 pounds. Covington coach Eric Vanderhorst couldn't have written a better script for his young Buccaneer wrestling team as four of his wrestlers advanced to next week's state meet by placing in the top four in their respective weight classes at the district tournament in Troy. "You know, when you look at the brackets and project this and that, it was a toss up as to whether we would get anybody out (to state)," Vanderhorst said. 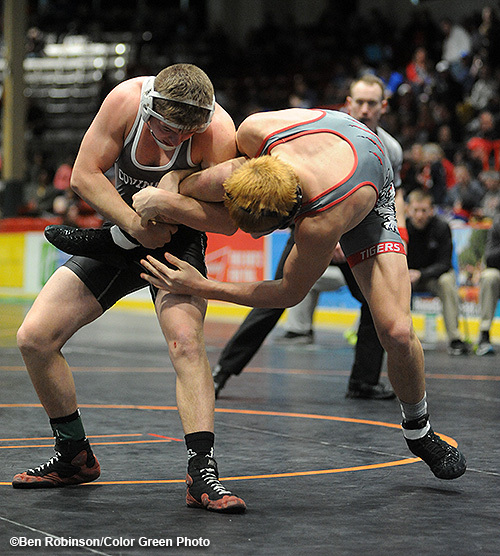 "But the kids wrestled unbelievably well over here (at Hobart Arena) and we were able to qualify four wrestlers to the state meet." The Southwest District is a meat grinder and if you are not on top of your game it usually leads to disappointment. 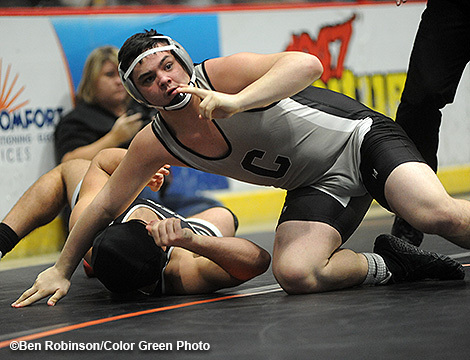 Several state-ranked kids and returning state qualifiers failed to make it out, which made the accomplishments of the four Buccaneers who qualified that much more impressive. "Oh yeah, this district is brutal," Vanderhorst said. "In a lot of weight classes, if you make it out of here you have a great chance of placing at state." 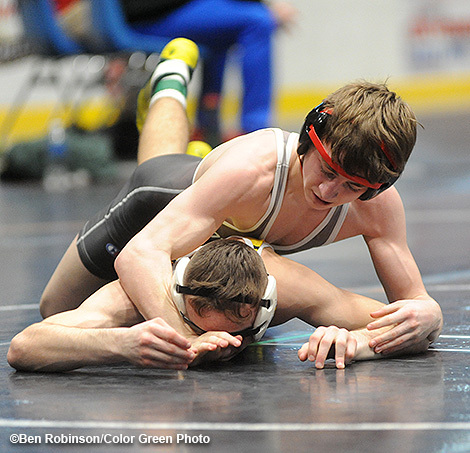 Arguably the toughest weight class at districts was at 106 pounds as six wrestlers came in highly ranked in the state. 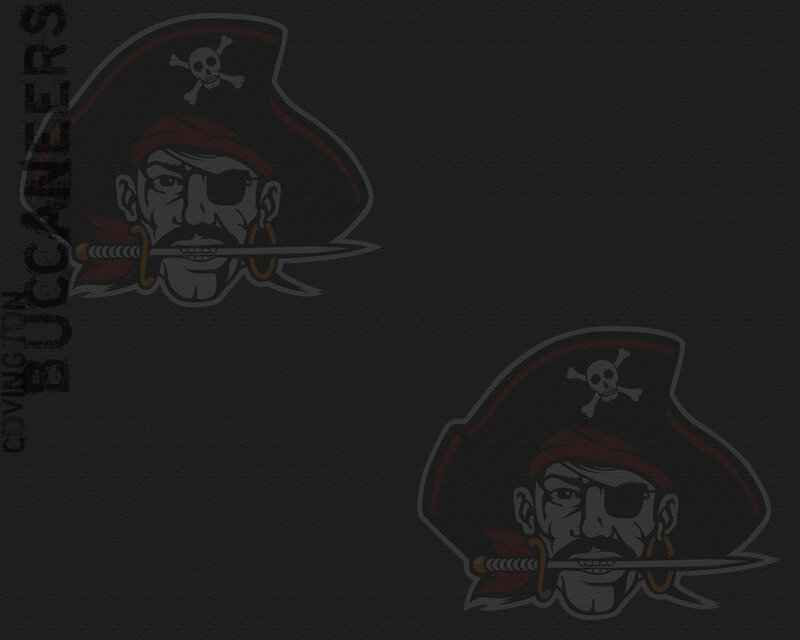 This made for a tough road for Buccaneer freshman Kellan Anderson, but he was able to battle his way through Friday with two straight wins to earn a rematch of a sectional defeat to Caleb Schroer of Troy Christian in the semifinals. This time Anderson was up to the task as he dominated en route to a 10-2 major decision win to punch his ticket to the state tournament. Anderson then fell to Wyatt Riddle of East Clinton in the championship match. Things were equally as tough at 113 pounds for freshman Cael Vanderhorst, who also opened up the first night of wrestling on Friday with two straight wins - the second being a huge win over Jacob Edwards of Bidwell River Valley. Vanderhorst opened Saturday's competition with a come-from-behind pin of Coldwater's Brian Chmielewski to secure his spot in Columbus next week. In his championship bout against Ethan Turner of Troy Christian, Vanderhorst came within a whisker of pulling out a victory in regulation on a reversal, but was forced to go into overtime where he came up just short 6-4 after losing to Turner 9-1 a week ago at sectionals. 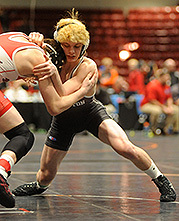 Keringten Martin, who came up short of state a year ago in heartbreaking fashion, didn't let the opportunity slip away this time as he placed fourth at 152 pounds. After dropping a very close 3-2 decision to eventual district champion Matt Hall of Bethel-Tate, Martin rebounded to score a 16-0 technical fall win over John Cline of East Clinton to secure his spot at the state meet. The final Buccaneer wrestler to qualify for state was sophomore 195-pounder Gage Kerrigan, who had battled through injuries all season. Kerrigan opened the second day at districts with a narrow 9-7 defeat to Zach Banks of Middletown Madison, but rebounded quickly with a 2:29 pin of Matt Schmersal of Ottawa-Glandorf to earn a state birth. Kerrigan finished fourth as he dropped his final bout to Greenon's Levi Morrison in a rematch of last week's sectional final. Three other Buccaneers saw their seasons end in the consolation rounds as sophomore 138 pounder Austin Flick finished his season with a 31-19 record, junior 182 pounder Gavin McReynolds finished with a 33-18 record and senior 285 pounder Bryce Keiser finished at 12-25 in what was a very exciting post-season run. The four Buccaneers who advance will make the trip to Columbus next Thursday for the opening night of the state wrestling meet. Kellan Anderson placed second at 106 pounds to qualify for the state tournament. 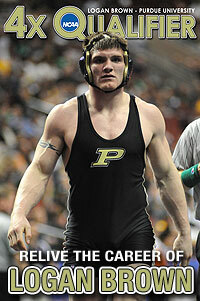 Gage Kerrigan earned a birth at the state meet by placing fourth at 195 pounds. 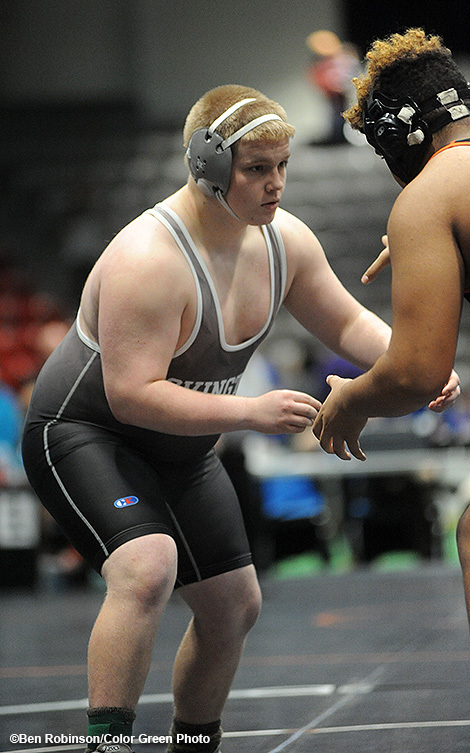 Senior Bryce Keiser saw his career come to an end after a very impressive post season run at 285 pounds.